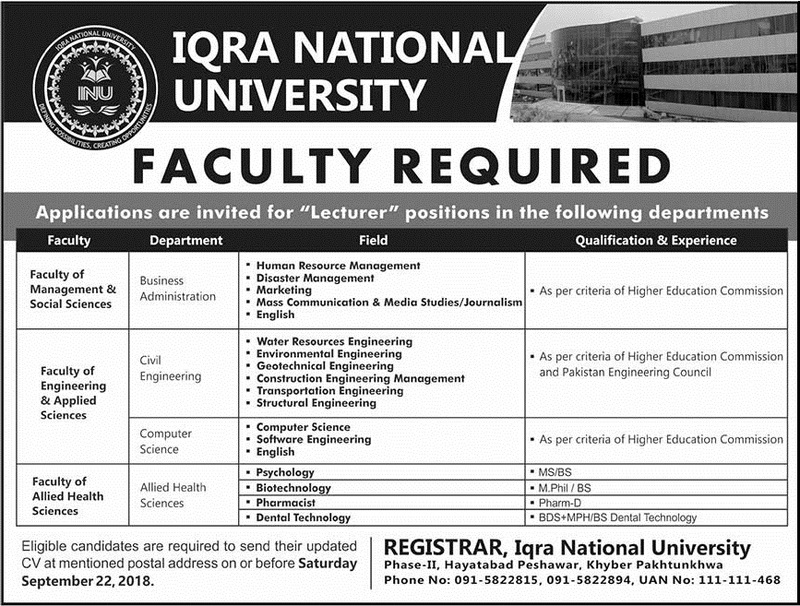 Iqra National University Peshawar Khyber Pakhtunkhwa. Eligible candidates are required to send their updated CV at a mentioned postal address on or before Saturday, September 22, 2018. Phase-II, Hayatabad Peshawar, Khyber Pakhtunkhwa.